Ginger-spiced honey-glazed carrots are easy enough to prepare for your family during the week or to include in a special holiday meal. 1. Place 1 tablespoon of the butter and water in skillet. 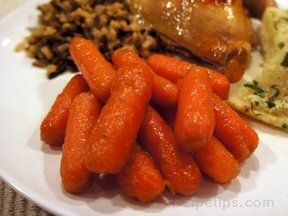 Add carrots; cook, uncovered, on medium heat 5 to 6 minutes or until carrots are slightly tender. Drain. 2. Mix honey, orange juice, remaining 1 tablespoon butter, ginger, nutmeg and salt in skillet. Add carrots. 3. 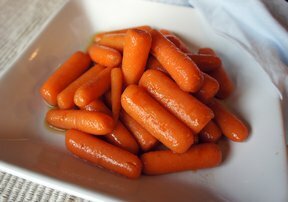 Cook, uncovered, on medium heat, 4 to 5 minutes, stirring frequently to glaze carrots. Sprinkle with parsley, just before serving.